Sage Time is a powerful solution that enables companies to maximize their return on labor investment, reduce risk of noncompliance, and increase employee productivity. Wages and related payroll costs (taxes, benefits, payroll staff, time keeping software, etc.) can often reach over half of companies’ total operating costs. With such a large impact on businesses’ budget, the potential impact of mistakes or inefficiencies can be immense. Time and attendance systems give companies control by centralizing payroll functions and eliminating many opportunities for error. Gather, review, and manage your employees’ attendance and labor information online and in real time with Sage’s 100% web-based solution. Sage Time and Attendance inspires your workforce and provides employee and manager self-service features that reduce the burden of manual processes, save time and money, and minimize compliance risk. 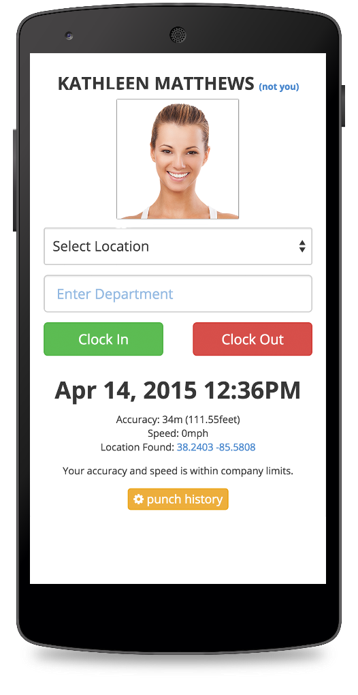 Automated time and attendance systems free HR staff from redundant data entry tasks and create a centralized location where they can view/approve leave requests, approve time entry, and generate myriad custom reports. As HR staff have more time to focus on big picture department goals, Sage Time simultaneously gives employees greater insight into their pay and benefits without requiring additional effort from HR. If there are any discrepancies or questions regarding hours worked or PTO, employees are able to proactively identify and rectify these issues, reducing the need for time-consuming, after-the-fact payroll corrections. Sage Time integrates with many HR and payroll solutions, including Sage HRMS Payroll, Sage 300 Payroll and Sage Payroll Full Service, allowing businesses to augment existing software without having to switch to an entirely new system. Wide selection of Badge & Biometric Data Collection terminals. 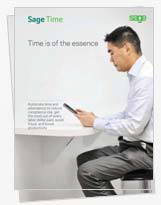 Click below to get a copy of the Sage Time feature sheet and discover how automated Time and Attendance can help you maximize every labor dollar paid, while empowering your workforce. Get your copy of this white paper that discusses how to automate time and attendance to reduce compliance risk, avoid “time stealing”, cut costs, and boost timekeeping productivity.